I think your quilts turned out great! I haven't really had much to share the last couple days so I am linking to a post from about 4 days ago or so where I shared a finish. I don't know, but my first thought was I love these 2 quilts. 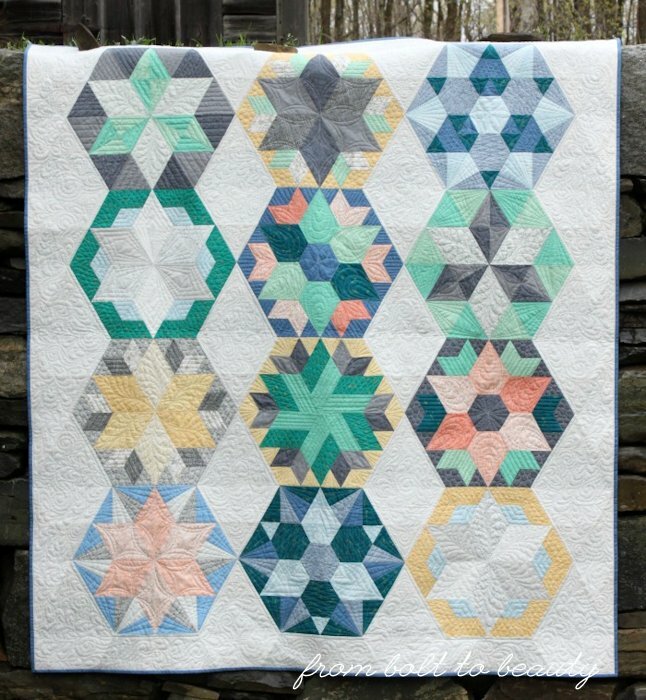 These quilts are wonderful; I love the fabric and the pattern which I just ordered now from Craftsy. It's another great pattern you designed! I'm sure the recipients are going to love the quilts. Sure glad your guild members talked you into keeping that quilt and then thought of cutting into 2 smaller ones! They are beauties and some lucky babies will be happy to snuggle into them. I do love that pattern! Kelly though you were not feeling this former quilt it is so good you pressed through and created some beauty. These 2 preemie quilts will be much loved by some family and will certainly brighten a room. I think most of have made a quilt we ended up not liking for one reason or another, it doesn't matter how much others tell you it's good if your instincts tell you it's not you don't really believe them. 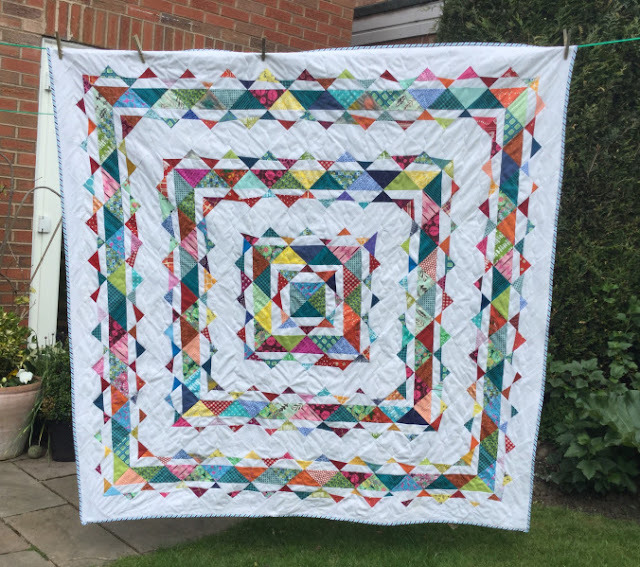 I admit they are not of your best (as you have made some stunning quilts) but they are certainly far from bad and well worth keeping. I have a jelly roll race top I really enjoyed making, there were six of us and I was second, such fun, but I really don't like my finished result and one day I will cut it up for whatever. But salvaging is in itself a challenge, and as quilters we all like to challenge ourselves, it's how we grow. They are nice quilts, just not exceptional, and they all certainly be appreciated. Just remember, we all like different things and what you don't like in your own quilts or others, someone else will love. I love the Interface baby quilts. So cute. Definitely worth donating to your local guild for the children's hospital. Oh, been there, done that! High five to you for finishing them, I know how difficult it is to finish a quilt top that doesn't "sing" a sweet song to you. I think your baby quilts are striking and someone who needs a "quilt hug" is going to be thrilled! 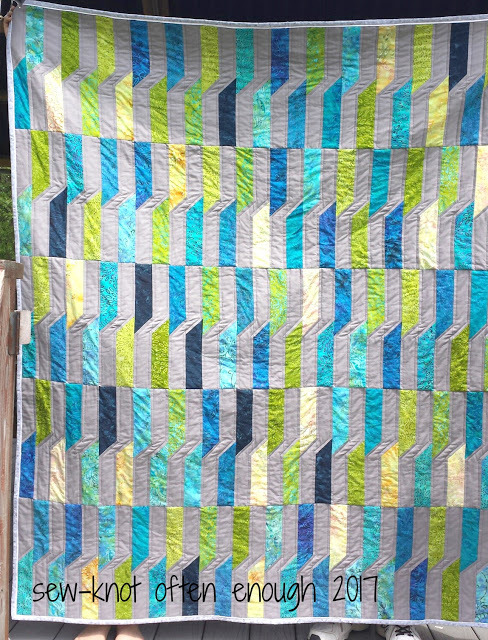 Great idea to cut the quilt in half and make charity quilts. Hope your next quilt turns out to your liking. Oh wow! I think they are gorgeous!!! I'm so miffed as to why you don't like these! The color palette is fantastic and they look so bright and cheerful! I absolutely love them! But I do know the feeling all to well of not loving it yourself. Been there done that. I think they turned out just fine! Most of us have been in that same boat - not in love with a quilt for one reason or another. I admit what makes me the most mad about when that happens is all the time I wasted! Your quilts are fine, but the reason they don't sing is the fabrics are to simular. For example the aqua could all be exchange for each other. Same goes for the most of your other choices. The babies and mothers will love having a homemade quilt. I think it's a matter of personal taste; I like your quilts and I certainly think they're donation worthy. I'm glad you found a solution that makes you happy. First,Thanks for the spotlight of my quilt. Secondly these are Stunning, and loving where they are going. 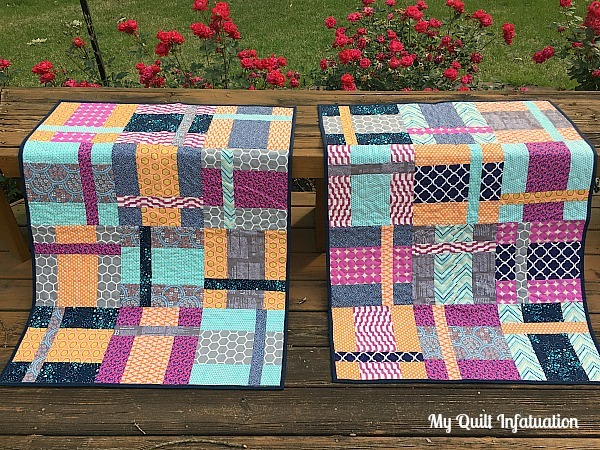 I am so in love with the color combination of these little quilts. I think they are awesome. Glad that you didn't scrap them and that they are going to a great cause. I really like them! However, I understand what you mean. I made this exact pattern for a sweet girl's graduation gift and while I loved the fabrics, the quilt did not look like I wanted. My husband did like it, so I guess it's just personal opinion, but I so understand you. Interesting how different fabric in a pull can look from fabric cut and sewn together. However, I am in with those who like the quilts. I do wonder if I like them better as two than I would as one--maybe what is "too much" in one works in smaller doses. It's wonderful that you have turned one quilt you don't like into two lovely quilts for donation. They really are lovely. Kelly, I love how you pulled all those colors together....and it's such a fun pattern. Two babies will love 'em! 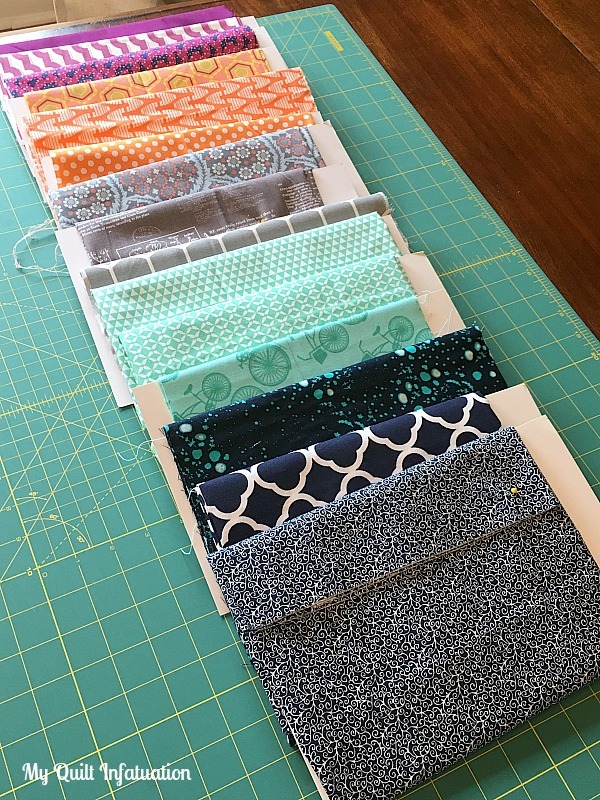 Just my 2cents worth here -- I LOVE the colors, I LOVE the fabrics, I LOVE the pattern, I LOVE the 2 baby quilts, and I know I would have LOVED the quilt as a whole, as well!!! Great job, Kelly!